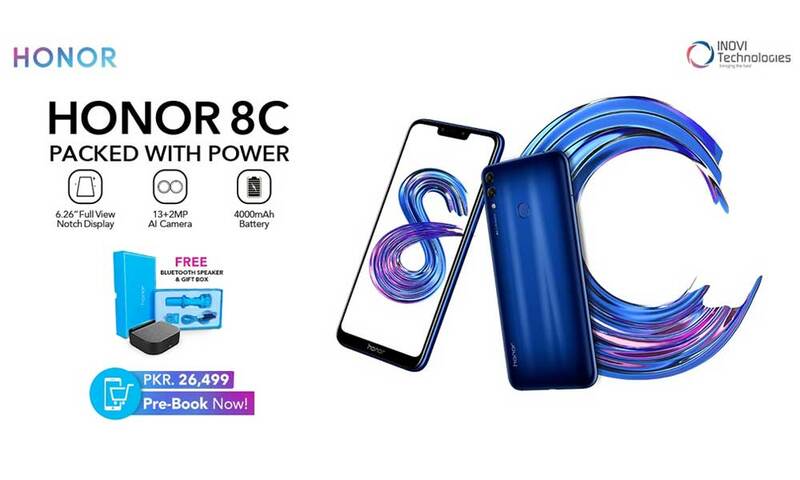 Honor, a leading smartphone e-brand, is coming strong into 2019 as from today we will witness the pre-booking of its latest smartphone in the Honor C-series line-up – Honor 8C. The new smartphone raises the bar for budget phones by providing advanced features at an astonishingly low price of Rs 26,499. A long-awaited model that brings a consumer-friendly price tag and amazing features. The enormous 4,000 mAh battery which is the largest battery of any Honor smartphone released in 2018 and its elite camera capabilities: an AI-powered dual-lens 13MP + 2MP rear camera with a large F/1.8 aperture capable of recognizing up to 500 scenarios in 22 different categories in real-time, and a 8MP front camera offering selfie-toning soft flash and augmented reality (AR) to create emoji. Next articleTikTok Breaks Silence Over News of Ban in Pakistan!